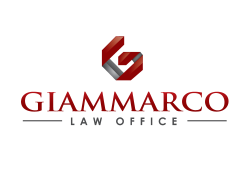 At Giammarco Law Office PLLC, our trial attorneys enjoy the challenge of the courtroom. Our attorneys are experienced and well-tested, representing clients at the city, state and federal levels in trial and appellate courts, as well as before administrative agencies and boards of appeal. When other avenues to resolve a dispute have failed, we are prepared to aggressively pursue judicial relief in the courts or defend any claims brought against our clients. We strive to be the most prepared litigators in the courtroom. Our attorneys consider every fact and facet of a case when designing clients’ litigation strategies and approaches. We communicate very closely with our clients and each other in order to establish a sound base of knowledge, efficiently allocate resources and quickly respond to new developments in clients’ cases. Our focus on preparation plays a major role in our successful trial record handling fact-driven cases in complex civil and business litigation matters. Contact us to today if you would like our attorneys to represent you in the courtroom.